So sorry guys, if you want the RSS on Chrome, use something else for now. But apart from that can I say I just love the testing community!!! You actually get feedback. Feedback is the only and -in my opinion- best way to learn. 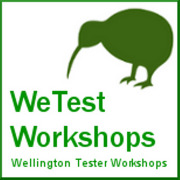 As a tester it’s what we do. We just put our foot in it wherever we can. I try and train my skills wherever I am so I of use feedback buttons on websites and do report issues with software. And the amazing thing is, that it works. Things do get fixed and companies, OSS projects, web masters,… they do react and they gladly do so. So if you’re out there and see something you don’t like. Don’t click to the next page. Complain, rant, feed back but remember always to be rational, explain in detail and state the context. You will see that it works and that you’ll have trained your skills.